Wheel alignment is critical to tire life. Proper alignment decreases irregular tire wear and improves tire mileage by decreasing rolling resistance. According to the Truck-frame & Axle Repair Association website, toe error can shorten tread life by 25% and correct vehicle alignment will improve fuel mileage by one-half to one mile per gallon. Pretty impressive statistics. Lack of federal guidelines may complicate FMCSA decision. 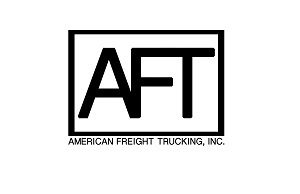 A number of trucking industry groups and motor carriers expressed support for using hair samples instead of urine when testing for drugs during pre-employment screenings of truck drivers. But in comments filed with Federal Motor Carrier Safety Administration (FMCSA) made public this week, other groups and individuals questioned the reliability and fairness of testing hair. Getting advance warning about heavy rain, high winds, and other severe weather not only keeps freight on time and drivers safe, but can prove vital in crash reconstruction efforts. Any fleet knows that bad weather can torpedo delivery times while putting cargo, equipment, and the lives of truck drivers at risk. That's why there's been a push in recent years to plug real-time weather information into trucking telematics so routes can be adjusted in case heavy rain, blizzards, and other inclement conditions make certain roadways too dangerous to traverse. Real-time alerts on driver behavior, vehicle health and efficiency of daily routes can be accessed on one simple dashboard, company says. Fleet managers, supervisors and company executives can now get quick visibility into key metrics and information about their mobile workforce from anywhere using the new Telogis Spotlight mobile app from Telogis, A Verizon Company. Starting in May, Telogis Spotlight will be available as a free, complementary companion app to the Telogis Fleet solution.